Due to the reorganizational issues going on at the University of Missouri, there were a couple of years that students did not get to go to University sponsored field day outings and Check off events for their state application. To the FFA Clubs, this is a big deal to them. If you do not get to go for two years, you are going to start paying for kids slipping through the cracks. After all, the FFA program is supporting the youth of the future. According to Jeff House, the New Madrid County University of Missouri Extension Agent, said, "If you look at the demographics of the population age around here in agriculture, we are going to have to be doing something before long. We are within 10 years of some things really starting to change. We have got to be able to pass on the knowledge and stewardship that we have had for all these years. You just cannot learn to "farm" overnight." “This is a process and you have to learn how to put the process together. If you look at the economics, the cost of inputs and the prices of crops, it's not pretty. It is pretty hard to ink out a dollar. People still have to eat and have to be clothed. Regardless of the bottom line, you still need to grow the crops for those two ingredients, food and clothing,” House added. In September, Dexter FFA instructor Gary Wyman, along with Chris Rowland, myself, and several others came up with the idea of sponsoring an Ag Education and Safety Field Day. The safety field Day was held on Thursday, Oct. 4 at the Stoddard County Fairgrounds. There were nearly 150 FFA kids from East Carter County to Senath-Hornersville and Portageville with their teachers that came in. The event was hosted by Stoddard County - Missouri Farm Bureau, Stoddard Co 4-H, and MU Extension, as well as sponsors like Greenway Equipment, Tyson Foods, Missouri Corn. 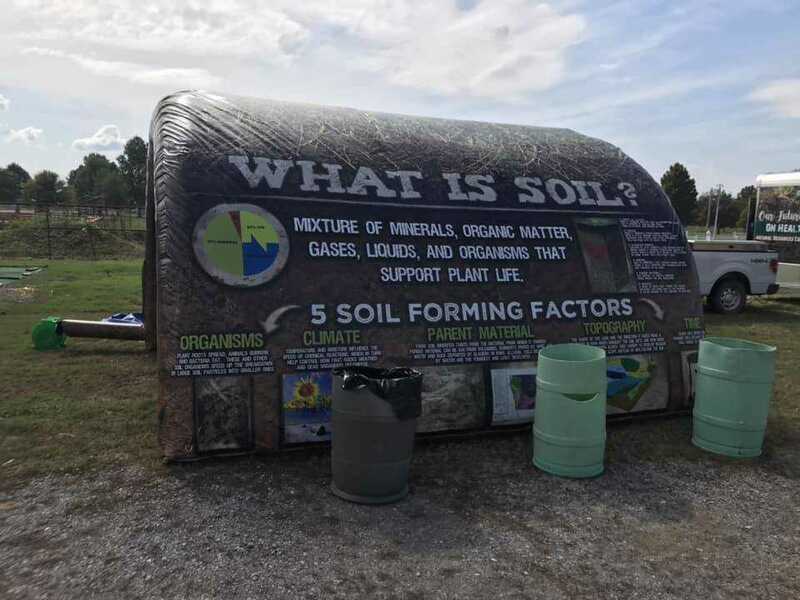 Other presenters included were the Stoddard County Ambulance District, MU Extension, Farm Credit Southeast Missouri, USDA-NRCS Soil Health, and DEKALB Asgrow Seed. “If I may, these kids were extremely polite and were well behaved! I believe we DO have some truly unique youth in this area. Today was a reinforcement. We have good people here. Thanks so much to Farm Bureau and their contribution today. When the bunch that cooks at these events gets rolling, the best thing everyone can do is step back and leave them alone, they roll in large and in charge. The heat was tough though, and the kids walked thru it without missing a step. I felt honored to help with this event,” said House. The biggest part of this is those FFA Clubs were able to receive their Checkoff mark.